"religion is a #hypocritical bs notion, and my brother you need to come out of it!" There are the great world religions: Hinduism, Jainism, Buddhism, Taoism, Zoroastrianism, Judaism, Christianity, Islam, Sikhism, the Bahai Faith, Aboriginal/Indigenous/Native American/Sami People, etc. In addition to comparative religion there is also comparative mysticism, the study of various schools of spirituality or mystics that are, or once were, operating within many of these above-mentioned faith communities, East and West. Viewing religions through this particular “lens,” one’s list may include: Kabbalah, Gnosticism (Valentinians, Barbeloites, Nassenes, Manichaeans, Cathers, Bogomils), Hesychasm (Eastern Orthodox mysticism), Syriac and other forms of Monasticism, Quietism, the Beguines, Gottesfreunde or Friends of God, to name a few in the Christian category, Sufism, numerous lineages of Saints, Sant Satgurus and Bhaktas based in India. In December 1945 a collection of ancient scriptures – fifty-two books – was unearthed near the village of Nag Hammadi in Egypt. These texts had been placed in a clay storage jar, sealed, and buried sometime during the Fourth Century AD. Monks who lived at a nearby monastery founded by Saint Pachomius most likely hid them there at the time. They would have been sacred texts once part of the library of this monastic community, one of several Pachomian monasteries operating in Egypt during those days. Rather than confining themselves to only reading the Old and New Testaments or teachings exclusively from Orthodox Christian sources, these monks had a surprisingly diverse collection of writings that can only be characterized as inter-faith and multi-traditional. In other words, they were also studying the scriptures of other teachers, sages, religions and “cousin” esoteric mystical movements of their day. The papyrus codices of the Nag Hammadi scriptures includes Christian texts such as the Gospel of Thomas, a collection of the earliest known sayings of Jesus, Dialogue of the Saviour, Gospel of Mary Magdalene, the Book of Thomas the Spiritual Athlete, Teachings of Silvanus, and Apocalypse of James (Parts I & II). There are also many examples of mystical or Gnostic Jewish texts. Perhaps the oldest book of the Nag Hammadi Library, Eugnostos the Blessed, is one of many that originate with a sect known as the Sethians, who were affiliated with another line of living teachers in a different branch of Gnosticism that practiced a somewhat Kabbalah-like form of Jewish mysticism. 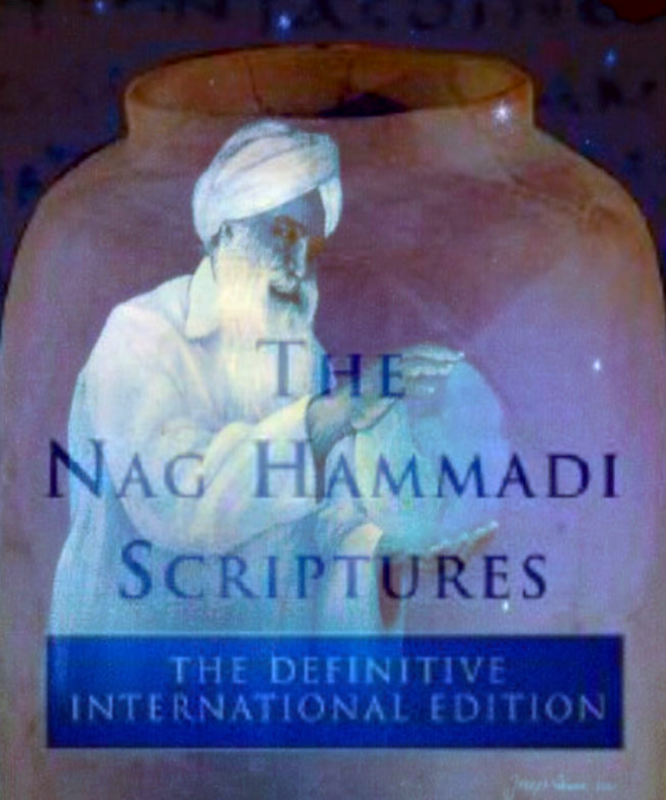 Several important Nag Hammadi books are part of the Corpus Hermeticum, sacred texts of the Hermetic tradition, an esoteric religious and philosophical mystery school or school of spirituality based in Egypt attributed to Hermes Trismegistus (“Thrice-Greatest Hermes”). These include: The Discourse on the Eighth and Ninth Heavens or Planes, Asclepius, and The Vegetarian Prayer of Thanksgiving. Scholars have noticed there is a strong influence of Neoplatonism, a philosophy based on the teachings of Plato, present in many of the Nag Hammadi texts and Gnostic gospels. Both the Corpus Hermeticum and Nag Hammadi Library refer to India on a couple of occasions, and one Nag Hammadi book by the name of Zostrianos mentions the Persian Prophet Zoroaster. The books of Nag Hammadi are in the Coptic language and are copied by monks from much earlier Greek manuscripts. Some of the writings seem to originate in Syria, just north of Israel, including the Gospel of Thomas (Sayings of Jesus) and Book of Mar Sanes. The Sentences of Sextus is a Pythagorean text, a collection of proverbs popular with many during the early centuries C.E.. The Pythagoreans were, as the name suggests, followers of Pythagoras, a sect that had a fascinating combination of mathematics, mystical practices and beliefs including reincarnation, transmigration of the soul, and hearing the Music of the Spheres, the Harmony of All Harmonies. They also adhered to a vegetarian diet. In fact, for most of the last two thousand years in the western world the word “vegetarian” has been synonymous with “Pythagorean,” such was their influence on Pagan, Jewish, and Christian traditions. Vegetarians have been referred to as “Pythagoreans” up until recently, when the word “vegetarian” became fairly popular. Some of the scriptures of Nag Hammadi are from a moderate, fairly mainstream Gnostic Christian movement called Valentinianism, founded by Saint Valentinus of Alexandria. Some suspect that many of the Pachomian monks had been followers of Valentinus and brought their scriptures with them when they joined the monastery near Nag Hammadi. From the point of view of the monks contemplating the words of these scriptures, their interest was not a schizophrenic or contradictory eclectic spirituality. All these writings do have much in common. They share common themes and threads, a universal contemplative wisdom that transcends narrow religious sectarian boundaries, a rich treasure-trove of spirituality. The names of the teachers and the schools of spirituality they founded varied, yet the principles and practices were essentially the same. The Tree of Gnosis had many branches. What a fascinating otherworldly, meditative, and “Eastern” version of Christianity these Coptic monks of the desert had — “a faith once entrusted to the Saints”. (Book of Jude) Egypt once was a kind of “Tibet of the West,” complete with chant. It wasn’t “om mani padme hum,” but there are actually many amazing examples of a rather AUM-like vowel chant preserved in several of the Gnostic texts. The codices of Nag Hammadi were buried after Bishop Athanasius condemned the use of so-called “non-canonical” books in his infamous Festal Letter of 367 AD. As a new conservative sectarian hardline leadership, with its lists of “approved” and “banned” books, imposed itself upon the monastic communities of Egypt, it is believed that some monks took these forbidden books from the monastic library and hid them away, thus rescuing them from certain destruction, and this free-spirited act ended up preserving them for future generations. The collection of the sayings of Jesus known as the Gospel of Thomas, rather than being the victim of censorship and the book-burning hysteria of the Fourth Century, now has its own website, the Gospel of Thomas Home Page. The Gospel of Mary Magdalene, illustrating the leadership role of women during the early days of Christianity, instead of being forever wiped from the pages of history, in the Twenty First Century is the subject of great interest by many open-minded spiritual seekers around the world. The loss of the Nag Hammadi Library and the destruction of the Library of Alexandria represent two spectacular examples of "Planetary Lobotomy," the unrestrained wanton destruction of the knowledge of humanity. At least in the case of Nag Hammadi, a large percentage of the texts have been restored to us, and we can read them online. Beware of today’s “Athanasius-types,” the Archons (the rulers, the powers-that-be). The spirit of Athanasius lives on in each generation, desiring to take freedoms away, seeking to blow up statues of Buddhas and Saints, forbidding the study or public recitation of “unauthorized” books of the Masters – deliberately making these books go out of print, causing trouble for many seeking souls, ever thinking up new rules and regulations. The results of the imposition of over-reaching rule-making, control and censorship in spiritual organizations, despite the usual good intentions that are advertised, ultimately leads to the loss of knowledge and wisdom, a reduction in the quality of meditation practice — the dumbing down of a tradition. As I’ve written in the past, there is no permanent Institution or University of Mysticism, but a decline-renewal process, a continuous pattern of Masters making a fresh start in a new location, choosing to remain free, to exist in genuineness and authenticity. No need for a hierarchy of scribes or ever-growing caste of Pharisees to surround the Master, ultimately blocking him from our view. 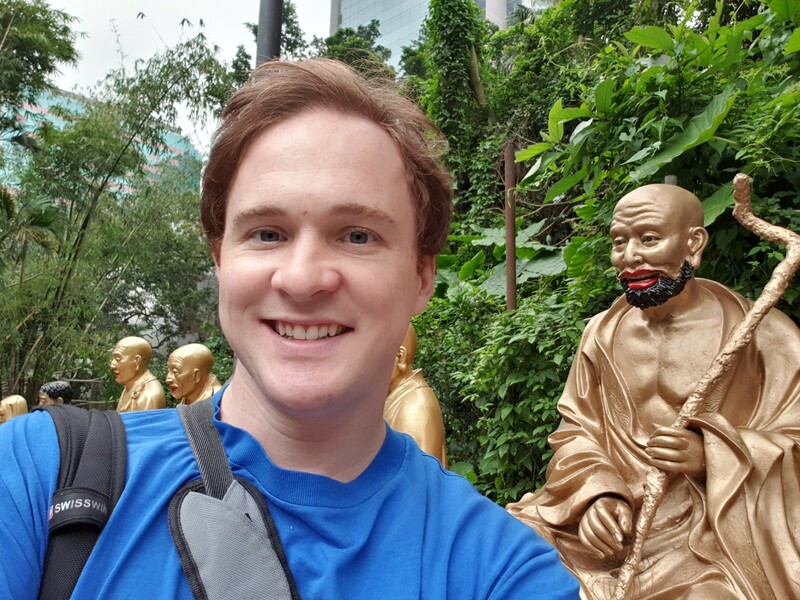 Let’s just stick with hanging out with the Master around the Bodhi or Banyan Tree of simplicity. The true Masters do spend time with their disciples. Personal interviews? Answering the mail? Absolutely. Yes. Make every effort to enjoy their company and communications whenever you can during this lifetime, while both you and they are in the body. The Master says, “What your own eyes cannot see, your human ears do not hear, your physical hands cannot feel, and what is inconceivable to the human mind – that I will give you!” (Yeshua, The Gospel of Thomas – Wisdom of the Twin, Lynn Bauman’s translation published by White Cloud Press). Administrative religious councils have been at war with enlightened souls since the beginning of time, and ultimately seek to retire and replace living Masters altogether. I remain suspicious of the institutionalization process, the eagerness on the part of some to build ever-larger buildings for themselves, and thirst for power, the creation of new leadership titles, committees and councils to rule over. Only mystics care about mysticism. 2019, le peuple de France a globalement accepté la #république comme son identité, de la même façon qu'il a abandonné #Dieu, il pense que le #pape est #catholique . La #révolution permanente qui "formate" (comme un disque dur) ses racines lui offre l'identité illusoire qu'il est ce qu'il imagine. Il croit donc à ce qui lui est matériellement et socialement confortable ; la #vérité devient alors un #sophisme , un #concept . Il a 2000 ans un gars mal rasé est entré dans un temple et dans une colère qui lui était inhabituelle a viré une caste de marchands , s'opposant comme un glaive à l'intérieur de tribus, de familles persuadées d'une légitimité à dominer, à maintenir ceux-qui-ne-sont pas-eux dans un #matérialisme animal. Les #sociétés se dé-lient et s'en plaignent, tout en accusant encore se qui les reliaient ( #religions ). A la fois enfermé dans son matérialisme et déconnecté de son #héritage, l'humain se mure dans une individualité , se cocoone dans une bulle atemporelle (l'instant présent, blabla, développement personnel,...). Il reste quelques lieux de #résistance , en son centre, la #famille . Les #magiciens n'ont eu de cesse de déporter notre attention sur des #réalités ( fausses ou insignifiantes ), les marchands n'ont jamais cessé leur entreprise, les vampires de voler les âmes. L'humanité sera à jamais tentée de suivre deux chemins incompatibles, celui du matérialisme (veau d'or) qui mène à l' #esclavage , ou celui de la spiritualité, à la #transcendance .